Tufnell Way was - and is - a residential street, but few of the original houses remain. 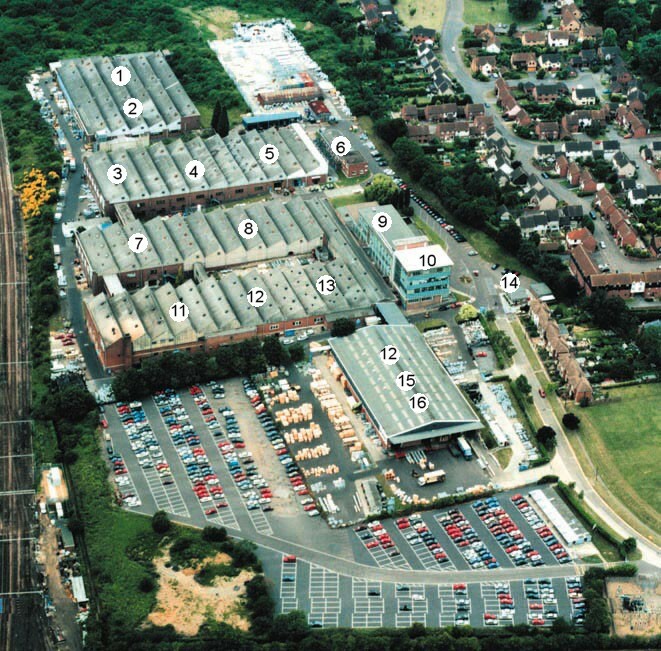 The remainder of this large site is the former home of Woods of Colchester (now know as Flakt Woods) and is one of Colchester's most prestigious employers, and one of the world's greatest makers of fans. The company was formed by Maurice Woods in 1909, and was based here from 1937 to 2006. Its original aim was to build motors, which were used in a number of applications including bumper cars at fairgrounds! However, they soon saw the market for fans, and Woods developed both commercial (still done today) and domestic fans such as the iconic Xpelair which developed from the original Woods of Colchester range. After being used as a munitions factory during World War II, the company grew into the important organisation it is today, and is famed for the fans it installs into buildings, car parks and even tunnels. For instance, they provided all the fans for the recent Jubilee Line extension, and have even provided the ventilation for the tunnel in Turkey linking Europe with Asia! One of their latest commissions was to provide ventilation for the Shard in London, Europe's tallest building. After being known by its many thousands of workers, customers and Colcestrians as "Woods", the company became Woods Air Movement - and then Flakt Woods in 2001; then in 2006 came the opportunity to move to new, efficiently-designed premises to the north, in Axial Way, near the Weston Homes Community Stadium, still maintaining its importance within the community and flourishing through the labour provided from the town. The Woods heritage lives on in New Braiswick Park; almost all the streets are named after parts of fans, and we have included a fan in our logo to remember the history of the site. 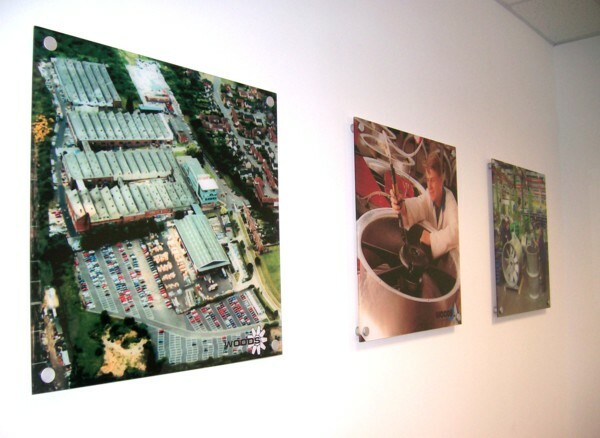 Visitors to the Community Room will also see three photographs on the wall, provided through the generosity of Flakt Woods Ltd, including an aerial view of the factory. If you used to work for Woods (or still do!) and would like to contribute to this potted history of New Braiswick Park, we'd be delighted to hear from you. Why not email us? Residents will be enthralled to know what went on before they arrived!